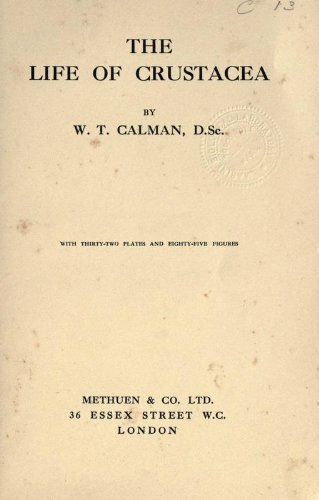 This sketch of the Natural History of the Crustacea deals chiefly with their habits and modes of life, and attempts to provide, for readers unfamiliar with the technicalities of Zoology, an account of some of the more important scientific problems suggested by a study of the living animals in relation to their environment. This book focuses on central themes related to the conservation of bats. It details their response to land-use change and management practices, and intensified urbanization. Increasing interactions between humans and bats are explored in depth. This book is the natural product of some years devoted to a study of the speech and habits of monkeys. It has led up to the special study of the great apes. The matter contained herein is chiefly a record of the facts tabulated during recent years.